Led by head coach John Helmick, the 1976 and 1977 Metamora football teams extended the program's Heart of Illinois Conference winning streak to 25 games, culminating with a third straight league title in 1977. Metamora saw its 30-game win streak snapped in the 1976 state championship game and the 1977 Redbirds also advanced to the state championship game, losing to Geneseo for the second consecutive year to complete a second straight 12-1 campaign. 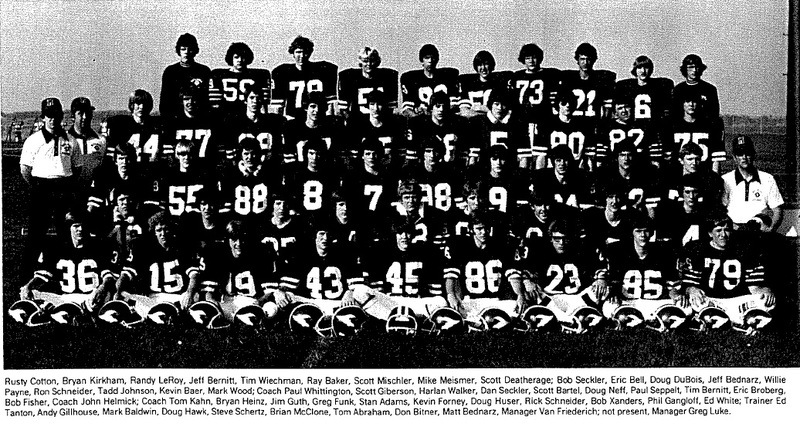 Ranked #1 in the state, the 1976 Redbirds overcame a 21-0 deficit by rallying for a 22-21 win against Momence to kick off its state tournament run, while the 1977 Metamora squad rolled through the first three rounds by a combined 91-6 score against Lisle Senior HS (29-0), Taylorville (44-0) and Charleston (18-6). Repeating as Tri-County male Athlete of the Year, Peoria Manual high school star Sergio McClain simply drove the Rams to their fourth consecutive state championship in Carver Arena last March. 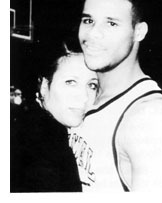 Voted Mr. Basketball for the 1996-97 season, McClain overcame a shoulder injury to drive his Ram teammates to yet another state crown. With Harvey Thornton threatening to oust Manual in the semi-final game, McClain ignored his injury to lead the Rams on a 25-1 run in nine and a half minutes, scoring 11 points in a row during one stretch. He was named to every All-State team in the state and was named to play in the Magic Roundball Classic. The Peoria Journal Star declared Sergio was the "most successful prep basketball player in United States history." McClain is now a key part of the University of Illinois basketball team as a freshman.